Never be unprepared with the Kate Spade New York® Margaux Medium Satchel. Satchel made of pebbled leather. Adjustable crossbody strap with removable option for desired carry. Brand name at the front. Decorative ID tag with removable option. Flat base and hardware feet provide upright structure. Interior features one back-wall zip pocket and slip pocket. 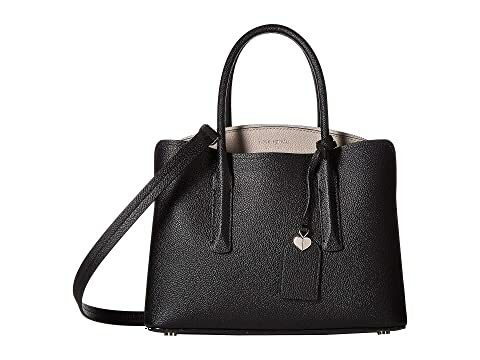 We can't currently find any similar items for the Margaux Medium Satchel by Kate Spade New York. Sorry!